Alex Le and Kavin Stewart have a fairly unusual “how we met” story. 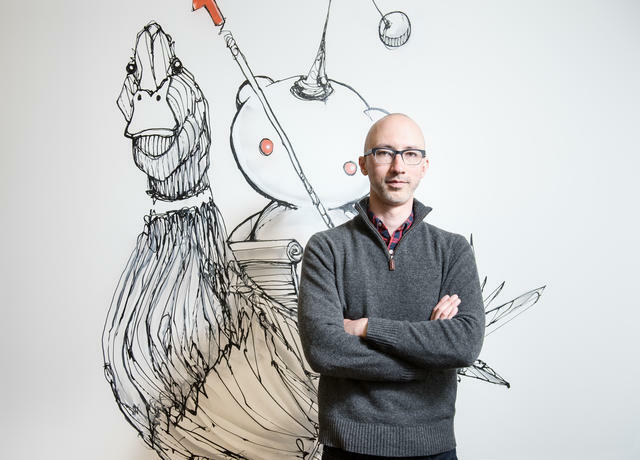 Today, the two are oddly (but aptly) co-VPs of Product at Reddit. But when they first encountered each other eight years ago, they were founders of competing social gaming startups. Instead of going head to head, they ended up swapping advice they could both use to thrive — it turned out Le was more about design, and Stewart was focused on revenue and growth. The yin to the other’s yang, they kept in touch when they moved into executive product roles at other companies, and now, finally, get to work together to solve problems for arguably the most robust, vocal, and diverse community on the internet. Co-VPs might sound like a bad idea as soon as you hear it. Certainly, a lot has been written about the perils of Co-CEOs. But it works for Stewart and Le, largely for one reason: they share extensive experience building products at every single stage of company life. They’ve both seen a lot succeed and a lot go south. They’ve both witnessed how product pipelines need to grow and break and change, and they’re all too familiar with the mistakes that ruin products and damage process along the way. In this exclusive interview, they focus on the radical shift from product market-fit into growth — a change that steamrolls far too many promising startups. With the tactics they recommend, companies at every phase can learn how to create effective, replicable and (perhaps most importantly) durable product development systems. There is such a thing as startup puberty. And it happens right when your product starts to gain traction. Much like puberty, this change often catches people off guard. Sure, they anticipated it would happen, but that doesn’t mean they were ready — they were too busy working to get there. You are no longer your customer: Silicon Valley tends to rely on a common hack — start something that solves a problem you have. At the earliest stage, you’re probably building for a customer just like you, or that you intimately understand. Once you hit product market-fit, you start bringing new people into the fold, and you can no longer reasonably represent all your customers’ needs, wants and opinions. You need more data. You luckily have the ability to test much more: Finally, you’re pulling enough users or customers to correlate product tweaks with behavior, and to start optimizing based on more than a hunch or limited evidence. With these new needs, you need more people. This is when things get complicated, says Stewart. In order to set people up for success, you need to make your product and engineering teams modular. That way, you can split up problems and hand out discrete work that people can run with independently. This is what gives you real leverage as you grow — having many teams, mostly autonomously led — all sprinting side by side. Starting this modular approach early bakes it into your culture and allows you to scale much more easily later. Even though Reddit is an older company, it still runs into these same transitions. A prime example: Recently, the company has been building out its mobile apps. Initial ideas for what they should look and feel like came from the team, because they’re all regular redditors themselves. We never let ourselves forget: What got us here won't get us there. Pre-Series A you don’t really have the data you need to do this, says Le. “At the seed stage, your company in itself is your hypothesis. You present it to the world to see if it will work. As you start to grow, this branches into more hypotheses about which direction the company should go in, and that branches into even more hypotheses about individual features, and on and on.” Your ability to make educated guesses becomes the stem cell and fuel for making your product better for more people. In Stewart and Le’s estimation, three major areas of product development change as a company matures: How you generate ideas, how you execute those ideas, and how you iterate on those ideas. Below, they share the best ways they’ve seen startups make these leaps. “You want to create a system for how you make hypotheses — it will serve as the basis for all future feature generations even as your team gets big,” says Le. The biggest mistake you can make is thinking you can relate to your customer for too long, says Stewart. He cites a fashion startup he worked with who believed their core audience were fashionable urban women, when it turned out to be Midwestern suburbanites. They needed the product for entirely different reasons, but it wasn’t being built for them for a long time. That value got lost. Inventory the “inputs” you have to answer your questions and generate a list of ideas. If you’re still pretty early and don’t have the volume of data you need to get quantitative, you can start with qualitative feedback from user surveys or testing, says Stewart. But you need something to plug into your system that isn’t just your opinion or experience. Competitive analysis also fits into this category. Have your competitors achieved a similar outcome to the one you want? How did they get there? How can you crib a bit and iterate to do even better? Once you have some working hypotheses, that’s when you want to start quantitatively measuring results to drive future brainstorming. All you need is enough results from an A/B test to theorize causality, says Le. Product management is really just three things: Brainstorm the list, prioritize the list, do the list. But the devil is in the details. It turns out if you brainstorm the wrong list, then you’re sunk the whole way through. You want to be creative, but creative in the right way, says Stewart. Apply the feedback you’ve gotten through user tests and surveys, and whatever other inputs you have, to trim down your list of dumb ideas — you want to end up with the fairly smart ideas. All of which should be pegged to a specific outcome you’re shooting toward. How important is the outcome this idea will serve? How high is this idea’s likelihood of success? What magnitude of success will it have? This should yield a short, ordered list of action items that will get you the closest to the results you want. On a smaller team, this process can be run centrally. As you grow and feature sets get more distributed, teams can run this system on their own to get to graduate to the next phase. Kavin Stewart at Reddit HQ in San Francisco. At the end of your brainstorm, you end up with multiple — maybe even many initiatives, depending on your maturity. At small startups, everyone knows what everyone else is working on and this is an incredible advantage. Soon after you hit product-market fit, you no longer have this luxury and you need to get serious about not only allocating responsibility across teams, but empowering them to do work without leadership (especially not the founders) necessarily knowing everything about it. Core product: How can we make typical use of the product better always? Internal tools: How can we optimize the way we are working with infrastructure? Content: What content do we present to users and how? Community: How are we setting communities up for success? Channels: Where and how are we engaging with users outside the core product? Monetization: How do we sustain what we’re doing? This also cuts a ton of context switching out of your process. You reduce the number of people who work hard to solve problem A only to move over to an entirely unrelated problem B. You group people so they are always attacking grouped, interrelated problems that they know well. I see a ton of Series A startups fail to make this transition properly. It's bizarre to me that it's not explicitly taught as the way to build a product team. Not dividing work this way can lead to crippling inertia, says Le. Switching from organizing teams around tech to organizing them around goals is hard. Very, very hard. People have developed expertise, familiarity with their colleagues, systems for getting things done. The change has to start at the top (which is also where it fails fastest). It requires the CEO ceding a hefty amount of control. They have to go from knowing and even determining what’s being executed at any given time to delegating primary responsibility for decision-making on a day to day basis. Hand out priorities, not tasks, and let your people be creative about their own execution. In Stewart and Le’s experience, once a founder or CEO relinquishes the need to know everything about everything, it gets a lot easier to reorganize teams along thematic lines. The CEO or co-founders can’t keep everything in their heads anymore and don’t know what’s happening in various parts of the product day to day. You’re trying to expand the product beyond the Silicon Valley echo chamber, which will require more homework to understand users. Existing staff members are responsible for too many different areas of the product and are context switching a lot, losing productivity. Appoint a business owner for each thematic area who is responsible for driving KPIs, managing stakeholders (including executives) and communicating changes. This is usually a product manager. Minimize cross-team dependences. It helps to have a framework for surfacing and prioritizing any dependencies that do exist. For example, these are highlighted during sprint planning at Reddit, so that everyone know what is expected of them to expedite communication and decision-making across teams. Set quarterly operational targets and tie individuals’ OKRs to them to build founder/executive confidence in this approach, make everyone feel more purposeful, and more clearly track performance. Have the founders and/or executives steer these smaller thematic teams by setting few, but big company-wide objectives, and allocating resources according to priorities. Constantly reevaluate where there are bottlenecks in this system and move immediately to address them. There’s also a bonus around conflict resolution. When you create teams around themes — which then become areas of expertise — it’s much clearer who is responsible and accountable for different parts of the product. At the same time you define themes, you also appoint someone as an owner. Usually they’re a product manager. At some more engineering-driven companies, this could be a tech lead. It doesn’t mean they need to have authority over the others on their team. It does mean they have to own final decisions and output. At Reddit, Le and Stewart govern very different areas of the product. One owns content and communities. The other owns growth and monetization. At the same time, they have thematic teams under these umbrellas with point people who have their own general areas of accountability. It’s not unlike a series of Russian nesting dolls. The owner of every thematic team is also the one who makes final decisions. They’re responsible for making sure everyone feels heard. That way, if you end up not taking their input, you can satisfyingly explain why not and curb a lot of angst on your team. This will let you move forward with much more momentum and buy-in long-term. A product manager's key attribute needs to be empathy — empathy for your users, sure, but also for your teammates and stakeholders. One of the more helpful mindsets to teach along these lines is that it’s very unlikely for any one decision a company makes to be fatal. Likewise, no one decision will be responsible for making the company successful either. This lowers the cost of choosing wrong, releases pressure, and motivates PMs to take more viewpoints into account, says Le. Spreading out decision-making agency is also critical for the long-term health of your company. If the person whose been calling most of the shots for you leaves after 18 months, you’re sunk. And this happens more often these days than ever before. 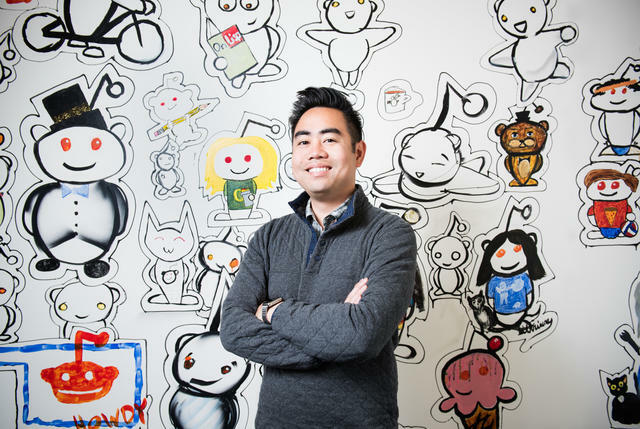 Alex Le at Reddit HQ. This is why you need a traffic cop. This isn’t a single product leader through which all decisions filter. It shouldn’t be the CEO for very long either. Instead, it needs to be someone keeping track of the various projects that are underway, how they relate to each other, how the results of tests might be interacting, and how changes are ultimately implemented. This person should be focused on two things: 1) Collecting and communicating the data coming out of experiments, and 2) guiding everyone to build features and run tests that connect to company goals. If you’re large enough to hire a VP of Product, they can play this role. But if you’re not, you can appoint someone on product to do this, or it could make sense for the CEO of co-founder to take on this role temporarily. This will prevent a lot of headaches, including people juicing their numbers to satisfy their personal objectives but not the company’s needs, says Stewart. It also keeps winning experiments from being turned up to 100 when they really shouldn’t be — a rampant problem at startups that haven’t prioritized product ops, says Le. Healthy communication on product teams is always omnidirectional. As your organization grows, you have to be extremely consistent about messaging the same things over and over again. Templates help ingrain this practice. Lastly, having product ops in place speeds up your learning over time and makes sure you’re adding — in Keith Rabois’ words — more barrels and not ammunition to your development process. Don't work on 10x-ing the output of each team. Work on putting many 1x teams next to each other. That's how you stay agile. Pick only a couple hard-and-fast rules: “For us, making sure everyone is on the same page is the top priority, so we’re really strict about our very few scheduled meetings. We kick off a new sprint every second Monday,” says Le. “We know we’re always going to hit that mark. Everything else can be flexible around us, but every second Monday the entire Reddit product team meets to kick off new sprints – maybe 7 or 8 will all be starting at once.” At the same time, every team does their own sprint planning. They simply present what they’ll be doing. Just start: “It’s more important to start something in ops than it is to have a master plan and huge process figured out,” says Le. “We start light. So, for example, we put the two-week sprint system in place. When we saw that sometimes progress wasn’t being made fast enough, we added a sprint retrospective.” After more iterations, you might find bottlenecks where support teams are overwhelmed with requests, which should prompt the hiring of more engineers to handle these requests. The next steps will reveal themselves. Don’t get stuck without any ops support simply because you can’t build a full system right away. If you’re at a very small or early company and no one seems like a natural product ops person, you can simply pick a high-performing and detail-oriented PM and say, “Hey, we have this meeting every second Monday, and it’s your job to make sure that meeting is good. Do whatever it takes for that meeting to be great.” This person should be a product person so that they know what the appropriate speed is for various projects. They can’t come from outside product and be credible. This means that a non-technical CEO is probably not the best candidate either. The other mistake is assuming that past success will automatically beget strong product pipelines in the future.